Guangdong marched past Shenzhen to take 2-0 lead. Guandong Tigers made 26-of-33 charity shots (78.8 percent) during the game. They brought some defensive toughness making 7 blocks. Leopards were plagued by 27 personal fouls down the stretch. American swingman MarShon Brooks (196-89, college: Providence) notched 35 points (!!! ), 9 rebounds and 8 assists to lead the effort and the former international Jianlian Yi (212-87) supported him with 23 points and 14 rebounds. Even 28 points and 5 rebounds by American point guard Kenny Boynton (188-91, college: Florida, agency: Higher Vision Sports) did not help to save the game for Leopards. 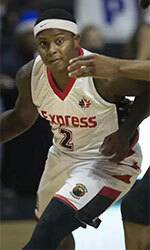 His fellow American import point guard Dwight Buycks (191-89, college: Marquette) added 25 points for the guests. Both teams had five players each who scored in double figures. Both coaches tested many bench players and allowed the starting five to rest. Xinjiang outgunned Liaoning for the second straight victory. Xinjiang Flying Tige looked well-organized offensively handing out 22 assists. 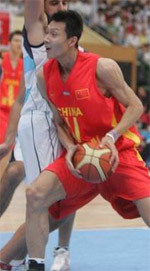 Great defensive blocking was one of the keys in this match when Xinjiang Flying Tige made 7 blocks. American point guard Kay Felder (175-95, college: Oakland) scored 28 points, 8 rebounds and 8 assists to lead the charge for the winners and the other American import forward Jarnell Stokes (201-94, college: Tennessee) chipped in 27 points and 12 rebounds during the contest. The former international Ailun Guo (192-93) responded with 18 points, 6 rebounds, 8 assists and 4 steals and American Lester Hudson (190-84, college: UT Martin) scored 24 points and 7 rebounds. Four Xinjiang Flying Tige and five Flying Leopards players scored in double figures. Both coaches used bench players which allowed the starters a little rest for the next games.